In the Edo Era (1603-1868), it was not possible for wives to divorce their husbands without a letter of divorce written by their husbands. However, there was a system to allow women who went into a so-called enkiridera-temple and stayed there for full two years to get a divorce legally. 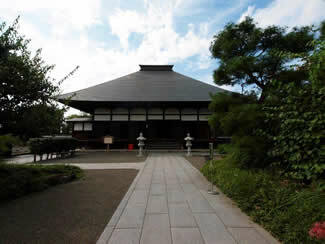 There were two authorized enkiridera-temples in Japan at the time. One was Tokei-ji in Kamakura, and the other was Mantoku-ji in Ojima (now part of Ota).